With a total area of 550,000 square kilometres, France is the largest country in Western Europe. It has a lot to offer—including fantastic coastal regions, traditional villages, and modern cities—all of which can be explored with a hireal car. France is known for its variety of landscapes—imposing mountains in the Alps, picturesque beaches on the Cote d'Azur, rough cliffs in Brittany, and stunning architecture in Paris. In order to see all of these unique sights, you should definitely hire a car in France. With Driveboo, you will be able to compare offers of many diffehire hireal car companies and choose the one that best fits in with your plans. Can I hire a car in France right at the airport? France has 34 airports dotted around the country, along with several airports in Paris (with Orly and Charles de Gaulle being the busiest). However, if you're planning a ski holiday or want to visit lesser-known places in the country, consider the smaller airports such as Nice or Toulouse. At each one of these, you can pick up the car that you booked via Driveboo, as there are always hireal car desks present on site. This way, you will be able to start your trip right after your arrival in France. What should I know about driving a hireal car in France? Will I have to pay any tolls while driving a rental car in France? Will I have to pay any tolls while driving a hireal car in France? Most French motorways are subject to a toll. In most cases, the toll is either payable when driving onto the motorway, or by a fee paid when leaving the road. Where can I park my rental car in France? Where can I park my hireal car in France? There are paid parking spaces in many small towns in France and most major cities have introduced "blue zones", where you must have a parking disc or a parking ticket on the dashboard of your car to indicate your parking time. Parking discs are available at police stations and in tourist offices. What insurance do I need for my rental car in France? What insurance do I need for my hireal car in France? No matter the destination, when you hire a car, you should always choose full insurance without non-waivable excess in case of an accident, damage or theft. If you want to spend a relaxing, enjoyable holiday in France, you will certainly benefit from hiring a car. 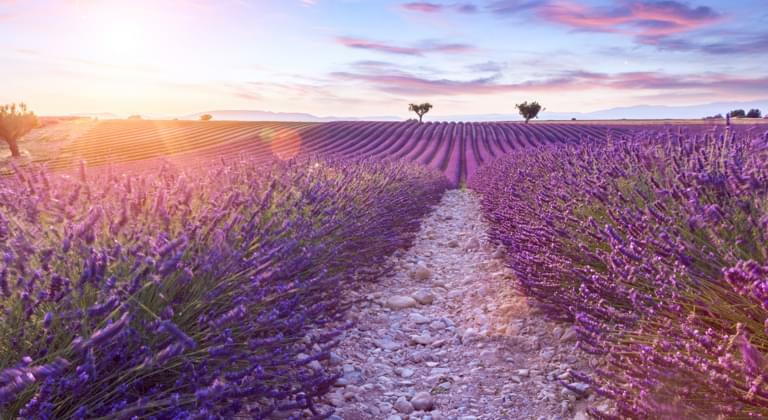 The country offers numerous sights and attractions, and with a hireal car, you can stay flexible and discover the many highlights of France not worrying about buses, trains etc. If you hire a car in France, a trip to Paris is an absolute must. The French capital is also known as the "City of Love" and is famous for its unique flair worldwide. Paris's most popular attractions include the Eiffel Tower, the Louvre, Avenue des Champs-Élysées and the Arc de Triomphe. You can also visit the Jardin des Plantes Botanical Gardens, the Rodin Museum and the Place des Vosges. If you're hiring a car in France and going on holiday with your family, then you should also visit Disneyland Paris—a highlight that will delight both children and adults. After you have discovered Paris with your hireal car in France, you should continue your holiday by heading for Marseille. The picturesque port city lies on the Mediterranean Gulf of Lion and offers numerous attractions. Visit historically significant museums such as the Musée Regards de Provence, the Musée d'Art Contemporain and the Musée d'Histoire Naturelle. Discover exceptional architectural masterpieces, including Notre-Dame de la Garde, and enjoy a tour of the old town and the Panier district. After your tour of Marseille, you might well decide to travel on to the city of Reims. The French Mediterranean coast boasts many beautiful sandy beaches, as well as internationally popular party destinations, such as St. Tropez, where celebrities and jetsetters head to let off steam. If you prefer quieter places, the French Atlantic coast will be perfect for you. This area is especially popular as a holiday region among nature lovers. The Atlantic is also an excellent spot for surfing and windsurfing. 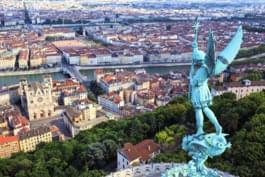 Another wonderful destination in France is the city of Lyon. It is one of the largest metropolises in France. In 1998, part of the peninsula of Lyon and the old town were declared a UNESCO World Heritage Site. The city is full of sights, including the Saint-Jean Cathedral and Notre-Dame de Fourviere. If you value traditional evening entertainment, you should definitely visit some of the many theatres in the city—a special highlight is the puppet theatre. In addition, there are around 30 museums in Lyon. After a trip through the national park, you can also visit the city of Nancy. While there, you cannot miss the Place Stanislas. Named after a former Polish king, it is a UNESCO World Heritage Site and is home to some magnificent classical buildings. Particularly noteworthy are the Town Hall (Hôtel de Ville), the Opera House and the Musée des Beaux-Arts, which exhibits paintings by Utrillo, Modigliani and Zadkin, among others. In Nancy, you should also see the beautiful Villa Majorelle, which is considered an outstanding example of Art Nouveau architecture. If you like to enjoy some local entertainment while travelling, your next stop should definitely be the popular Pépiniere.